Imagine Afrika is a reality game show aimed at mobilising young people on the most pressing problems facing African communities in terms of the AIDS pandemic. Underdog created, hosts and maintained this website. 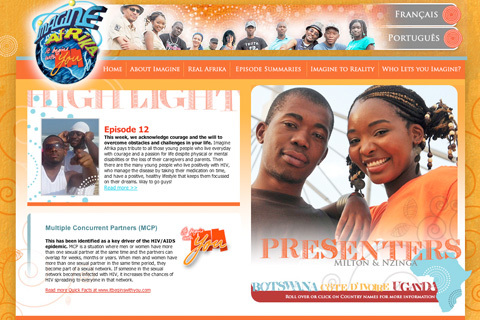 Visit www.itbeginswithyou.com/imagineafrika to view the full site.